The mighty High Coast Bridge is the most known landmark of the High Coast. 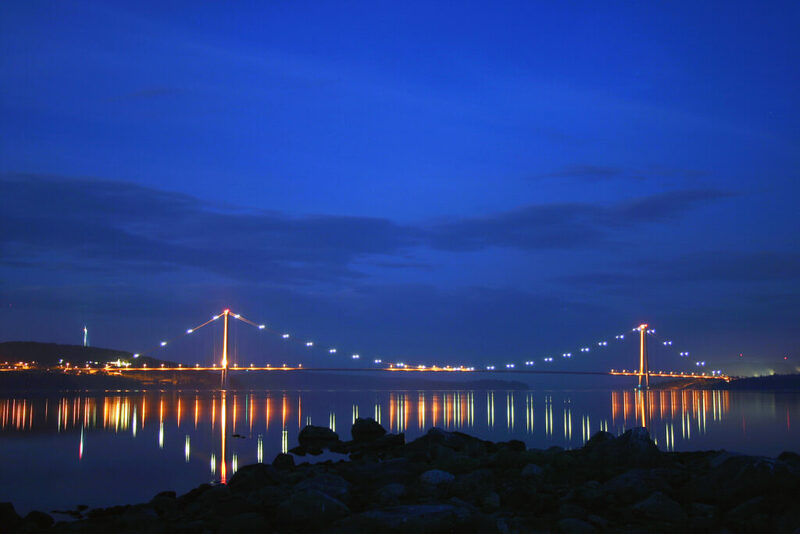 With 180 meters above the surface of Ångermanälven the suspension bridge is one of Sweden´s highest buildings. You enjoy one of the most beautiful views over the astonishing bridge from the top of Prästberget. Follow the path from Snibbens Camping, Stugby & Vandrarhem about 1,5 km to the top and find the delight in the breathtaking view over the High Coast Bridge and the Sandö Bridge, the Sandö Bridge, which was , once it stood ready in 1943, the longest single span bridge in the world.